Angelo Sindaco, a contributing photographer to Vice magazine, has been taking backstage pictures and live video footage at clubs since the 1990s. Ten years later, he is sitting on an unparalleled recent history of the indie rock scene, a virtual night out like no other. 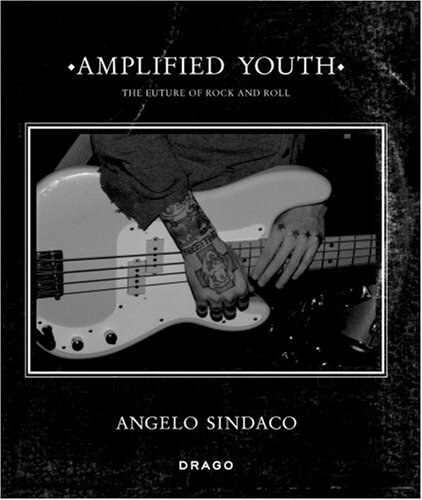 This is a book about the new rock-and-roll fever. This is a book about being young, and crazy for music, and for the moment's brightest stars. This is a book about the ritual of a rock concert, and it captures that spirit of celebration-its sound, sweat and raw energy-in conversely rigorous black-and-white. Backstage, in live performances, in portraits of the bands and their audiences, Sindaco catches the credibility and attitude of the new generation of stars in the genre that won't quit, showcasing underground legends including the Editors, Art Brut, Maximo Park, Animal Collective, The Cribs, Cazals and Baby Shambles from a stunningly intimate point of view. These are our youth culture's new pagan gods, and if you can't be there at the altar, Sindaco brings them to your doorstep. With a preface by Alan McGee, founder of the Creation and Poptones labels and the former manager of Oasis and the Libertines, and with text by Christian Zingales, the Editor-in-Chief of Blow Up magazine. Rock lives.